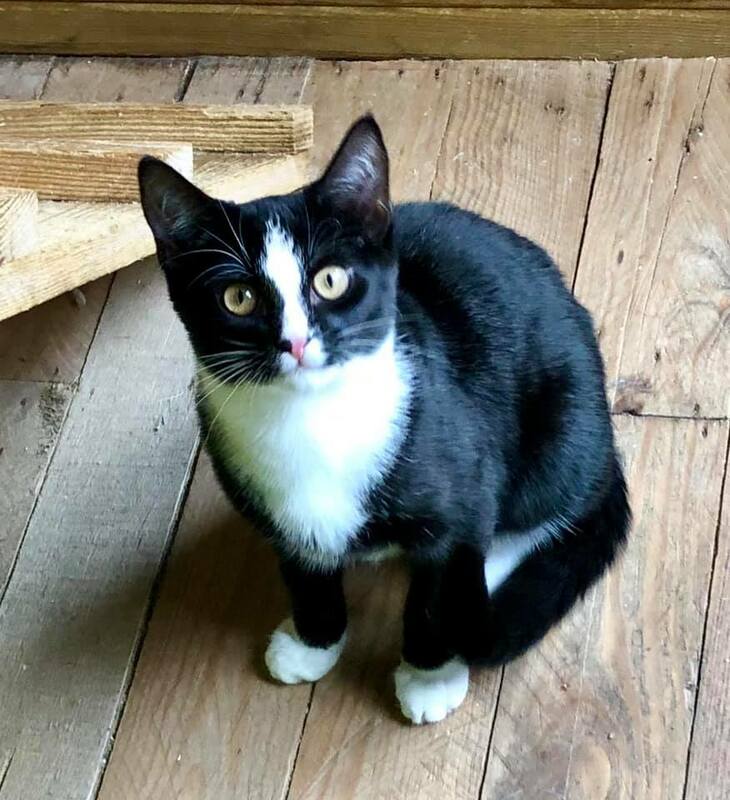 Kiwi is an adorable 6 month old tuxedo boy who’s joined us recently. He grew up in a family environment and is in search of a new home due to a change of circumstances at this previous home. Like most kittens, Kiwi is extremely active and playful. He absolutely loves people and is very sociable. We think he would be a great fit for a home that already has a playful young cat or cats so he would have someone to play with. Kiwi would also be fine in a family with cat-savvy children who know how to treat cats with kindness and respect. Kiwi is really a wonderful little boy and has quickly become a volunteer favourite. Kiwi is looking for a home with outdoor access in a safe location, preferably a network of gardens to explore well away from busy roads. All cats with outdoor access we home will need to have a catflap fitted at the back of the property (before or within a month of adoption). Kiwi is at our fostering hub in Abbey Wood, SE2.